Headache, indigestion, insomnia and nervousness are just a few of the situations that can be solved in just a few minutes and by pressing to one point. By pressing “Shen Men” point headaches and stress disappear. Stress is an everyday occurrence that majority of us are experiencing. Besides nervousness stress has many physical symptoms such as headaches, lack of energy, low immune system and even indigestion. The Chinese method of treatment known as acupressure explains how on the human body there are certain anti-stress points by whose stimulating the body begins to relax and relieve stress. – Sticks to the ears press the point on the the ear and gently massage. – Breathe slowly and deeply and listen to inhalation and exhalation. – As you inhale look to the left, and during exhalation into the right side, but without the turns of the head. 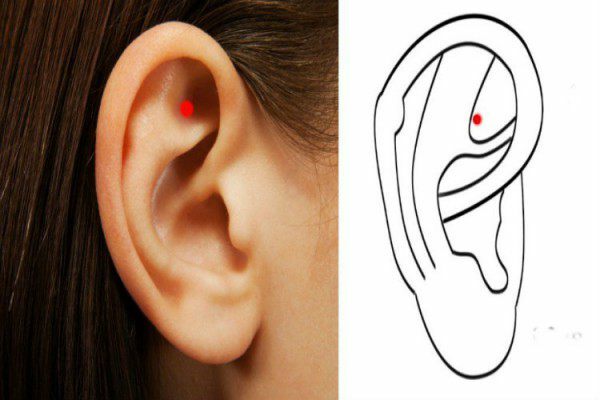 – Point on the ears you can massaged with the fingertips. – Massage the point every time you feel that you are under a lot of stress. – This process can be repeated every day before bedtime.